The first wave of artists that will be performing at this years North Coast Music Festival have been announced. It is a very strong group with hip hop being represented very well. Wu-Tang Clan, Nas, Mac Miller, Just Blaze, Afrojack, Aloe Blacc and many more artists will be making the trip to Chicago on Labor Day Weekend (8/30-9/1). 3-day passes are available on Club Tix now. We’ll keep you updated when the next wave of artists are announced. As if there weren’t enough reasons around that make summer in Chicago awesome, our local Alternative Rock (is that still technically the term/genre?) radio station Q87.7, has announced the launch of its first PIQNIQ festival. The new festival will take place at First Midwest Bank Amphitheatre on June 29. What may be the most important part about this announcement is that the fest’s headliners will be the Yeah Yeah Yeahs, who are making their only appearance in Chicago(land). Some of the other bands that will be heading over to Tinley are Bush, AWOLNATION, Silversun Pickups, Cold War Kids, and Atlas Genius among others. 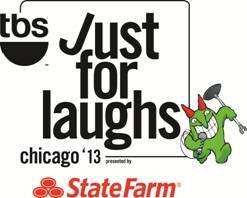 Taste Of Chicago Lineup Includes, Robin Thicke, Robert Plant and fun. The Taste Of Chicago has a full music lineup now… The iconic food festival that takes place in downtown Chicago will run July 10-14 and will feature acts like fun. (especially good for those of us who missed their Lolla performance due to the storm), Robin Thicke and Robert Plant (of Led Zeppelin). While lawn seating will remain free, $25 tickets for reserved seats in the Petrillo Music Shell pavilion will go on sale May 15 at tasteofchicago.us. *Plus the stars of TBS’s Sullivan & Son, truTV’s Impractical Jokers And IFC’s The Whitest Kids U’ Know, with more surprises TBA soon. The Mad Decent Block Party is back this year and they’ve expanded to 13 cities across the U.S.A., along with some stops in America Jr. aka Canada (Homer Simpson’s words, not mine). The block party will take place over 3 months, starting up in Calgary, Alberta (look out Bret Hart) on July 19 and finishing up in San Diego in mid September. 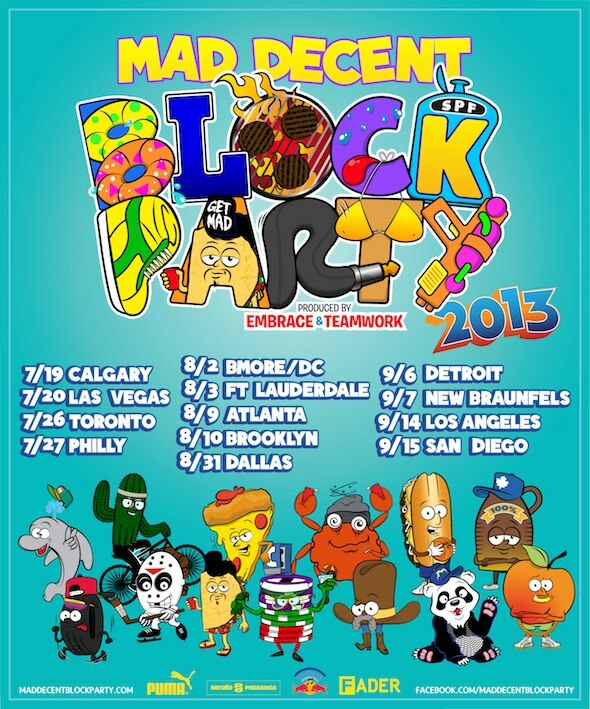 Update: Early bird tickets for Mad Decent’s Block Party are available for $20 here. Wiz Khalifa has just announced the 2013 Under The Influence of Music Tour with co-headliner A$AP Rocky. 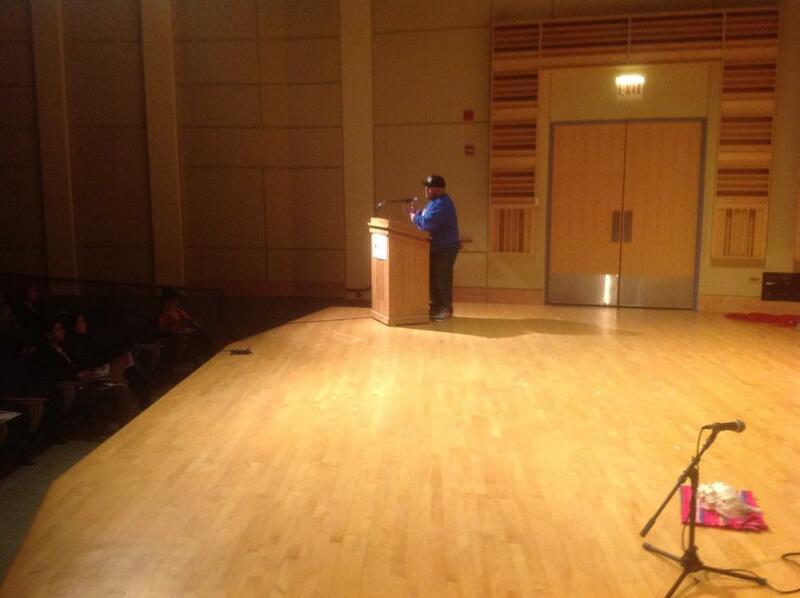 He will also be bringing along B.o.B., Trinidad Jame$, Joey Bada$$ and the rest of the Pro Era crew. Should be just as good as last years show. The Chicago date on the tour will be on July 30th and will more than likely take place at the First Midwest Bank Amphitheater. We will update the post when locations are announced. Tickets will be available here on April 23rd. Check out the rest of the dates on the flyer up above. 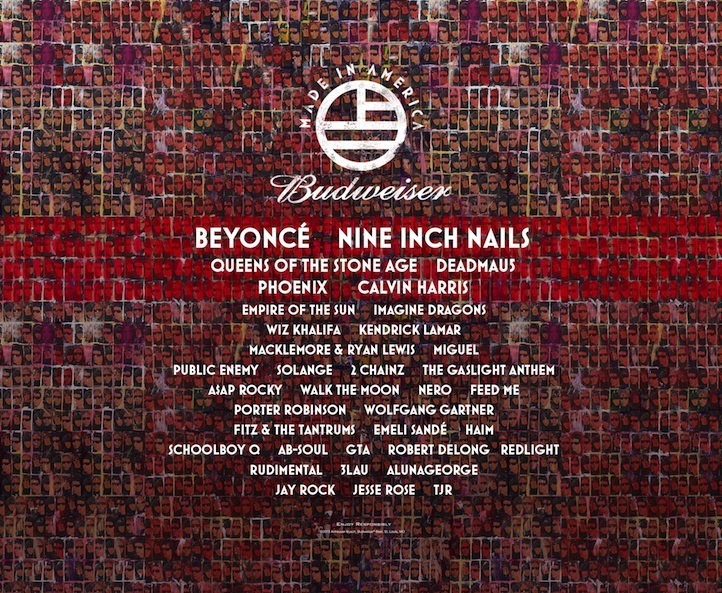 Much like they did last year, Budweiser has put together another edition of their Made In America Events. These events (as noted on their site): “Great Music, Great Food And Great Beer Are Just The Start!” We attended last year’s stop in Chicago and were part of the crowd that was treated to all three things listed as part of the event and genuinely enjoyed the party. Made In America Events started this year in Tampa, FL earlier this month and will run until August, making stops around the country in cities like Dallas, Phoenix, LA, San Francisco, Chicago, NYC and Boston among many others.